As a kid, I would bring every stray animal I'd find home and ask if I could keep it. While attending high school, I worked part-time at a pet store and then, at an animal hospital. I eventually started school at St. Clair College and graduated in 2003. I joined the clinic in 2012. My favourite thing about the clinic is the people I get to work with. 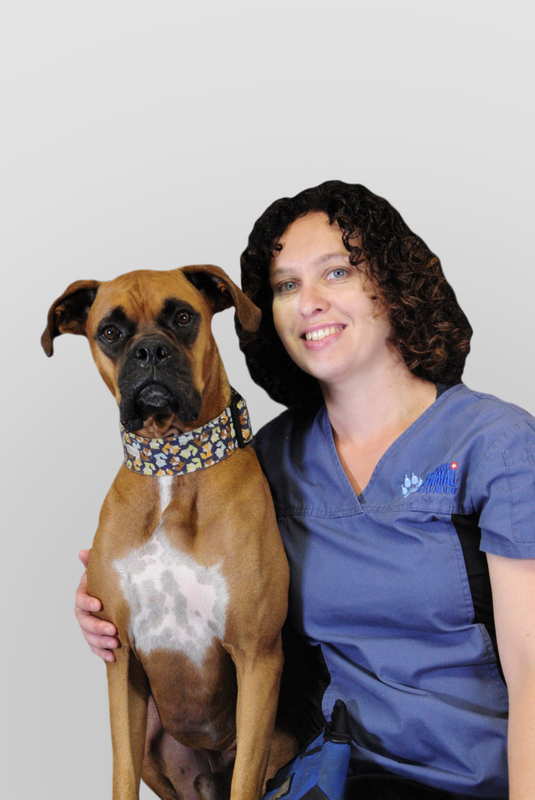 They are a fun and supportive group of people, who really care about the clients and their furry family members. One of the things I enjoy in my free time is doing agility and CARO rally with my dog Rocky. They are two very different dog sports, that teach you a lot about canine behaviour and strengthen the bond with your furry companion.